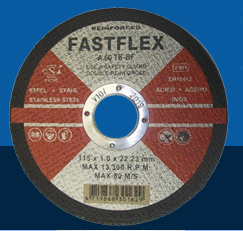 Established in July 1983 to import and distribute quality-bonded abrasives from the mother company. Bergin, Germany in the Bammenthal near Heidelberg in Germany. It is this highly competitive abrasive industry a niche was found in the market through prompting a quality product made from a first grade material, free from reconstructed grit. A quality Service by means of personal attention and a hands on approach to details and problems. A near perfect product available through stringent stock control measures. A customer friendly attitude to queries and request for advice.